on the current and future development of Artificial Intelligence technology. * Registration has been closed early due to the maximum capacity. *The program details may be subject to change. *Lectures will be conducted in English with Korean translation. Artificial Emotional Intelligence – What’s it all about? * Parking is not offered to the participants for this event. Please use public transportation or the free shuttle service. Your registration has been completed. Social robots are helpful companions, designed to interact and collaborate with people in an interpersonal way to help both succeed. As people of all ages and stages begin to live with AI in the home, we have the opportunity to develop personified technologies that promote human growth and flourishing. To support a diversity people as an empathetic and capable ally, smart technologies need to be socially and emotionally intelligent, too. Social robots are a particularly powerful example over other technologies given their validated ability to sustain engagement and support a holistic human experience. This gives rise to important challenges and opportunities for how to design, deploy and evaluate the impact of social robots in the real world to help people learn, thrive and connect. This requires a tightly interwoven approach at the intersection of design/aesthetics, understanding human social psychology, and innovations in AI and machine learning. The goal is to create successful real-world social robots that are enduring in their appeal and engagement, are helpful and competent, can personalize, and can build an emotionally uplifting relationship that provides meaningful value to people’s lives in an ethical way. Cynthia Breazeal is an Associate Professor at the MIT Media Lab, where she founded and directs the Personal Robots Group. 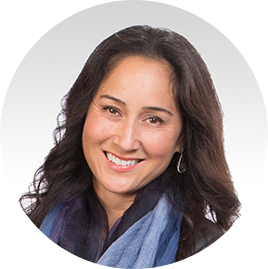 She is also founder of Jibo, Inc., a consumer personal robotics and AI startup. She is recognized as a pioneer in the field of social robotics and human-robot interaction. Her research focuses on the design and impact of personalized and emotionally engaging home robots that build a relationship to help people of all ages achieve meaningful outcomes in education, health and wellness. 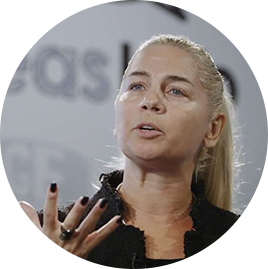 She is author of the book ‘Designing Sociable Robots.’ She has spoken at prestigious venues such as TED, CES, SXSW, the World Economic Forum, and the United Nations on topics related to AI, innovation, and society. She is a recipient of awards by the National Academy of Engineering as well as the National Design Awards. She has received Technology Review’s TR100/35 Award and the George R. Stibitz Computer & Communications Pioneer Award. Her robots have been recognized by TIME magazine’s Best Inventions in 2008 and in 2017 where Jibo was featured on the cover. The idea of drawing inspiration from the brain to create artificial intelligence has a long history, and has become popular again with the resurgence of neural nets. For the past dozen years, my colleagues and I have been working in the opposite direction: applying artificial neural nets to solve the structure of the brain. Today my lab is applying convolutional nets to reconstruct the wiring diagram of the visual cortex from electron microscopic images. We are returning full circle, because convolutional nets were originally inspired by 1960s-era neuroscience discoveries about the visual cortex. We hope that wiring diagrams of the cortex, combined with data about neural activity, will give us insights into how the cortex learns. I will show some preliminary findings in this direction, and discuss their relation to theories of cortex-inspired unsupervised learning based on Hebbian and anti-Hebbian plasticity. 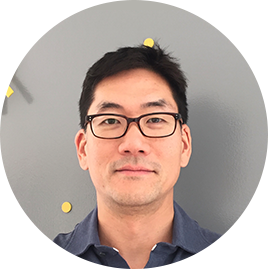 Sebastian Seung is the Anthony B. Evnin Professor in the Neuroscience Institute and Computer Science Department at Princeton University, and Chief Research Scientist at Samsung Electronics. Seung has done influential research in both computer science and neuroscience. Over the past decade he helped pioneer the new field of connectomics, applying deep learning and crowdsourcing to reconstruct neural circuits from electron microscopic brain images. His lab created Eyewire.org, a site that has recruited over 300,000 players from 150 countries to a game to map neural connections. His book Connectome was chosen by the Wall Street Journal as Top Ten Nonfiction of 2012. 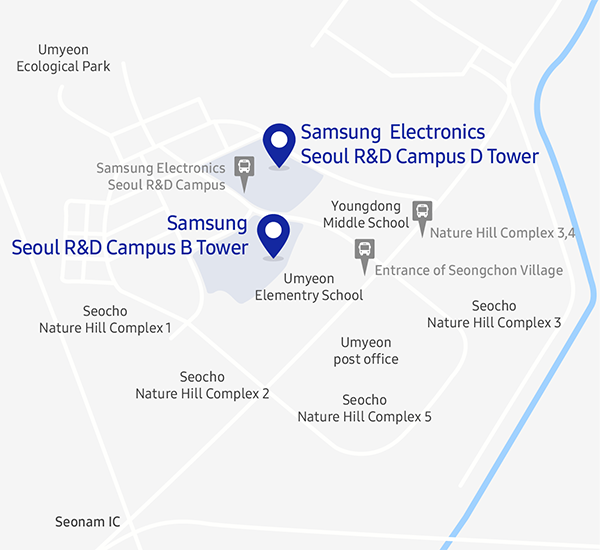 Seung previously studied at Harvard University, worked at Bell Laboratories, and taught at the Massachusetts Institute of Technology. 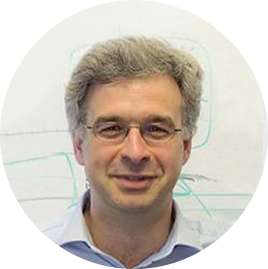 He is External Member of the Max Planck Society and winner of the 2008 Ho-Am Prize in Engineering. It is curious how machines can learn to translate from one language to another, while still having major difficulties in performing tasks humans complete with ease, such as document summarization and conversation. Equally curious is the fact that language models, trained only from natural language text, often generate such unnatural text that humans would rule implausible instantly. In this talk I will discuss the missing representations in neural language models and how we might lift their limitations. First, I will argue that the current paradigm of “learning by reading” is fundamentally limiting for long-form text generation and introduce a new framework of “learning by writing” where machines can learn through practice. Second, I will discuss how commonsense knowledge and reasoning are critical for enabling machines to read between the lines, and how we might be able to model this latent commonsense through language. 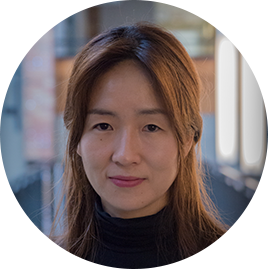 Yejin Choi is an associate professor at the Paul G. Allen School of Computer Science & Engineering at the University of Washington and also a senior research manager at AI2 overseeing the project Alexandria. Her research interests include language grounding with vision, physical and social commonsense knowledge, language generation with long-term coherence, conversational AI, and AI for social good. She was among the IEEE’s AI Top 10 to Watch in 2015, a co-recipient of the Marr Prize at ICCV 2013, and a faculty advisor for the Sounding Board team that won the inaugural Alexa Prize Challenge in 2017. Her work on detecting deceptive reviews, predicting literary success, and interpreting bias and connotation has been featured by numerous media outlets including NBC News for New York, NPR Radio, the New York Times, and Bloomberg Business Week. She received her Ph.D. in Computer Science from Cornell University. For natural language understanding (NLU) technology to be maximally useful, it must be general: it must be able to process language in a way that is not exclusively tailored to any one specific task or dataset. In pursuit of this objective, this talk presents the General Language Understanding Evaluation benchmark (GLUE), a tool for evaluating and analyzing the performance of models across a diverse range of existing NLU tasks. GLUE is model-agnostic, but it incentivizes sharing knowledge across tasks because certain tasks have very limited training data. This talk discusses results from GLUE’s first few months, with a focus on the successes and limitations of representations learned through the task of language modeling. 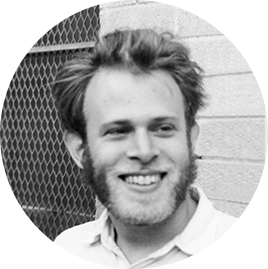 Sam Bowman is an Assistant Professor of Data Science and Linguistics at New York University. Sam works on building artificial neural network models that can understand the meanings of sentences, with the dual goals of both improving language technology for problems like translation and facilitating basic research on human language. 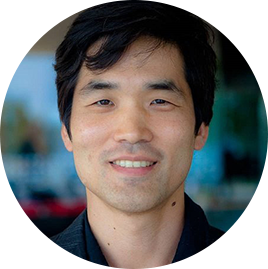 He co-directs the Machine Learning for Language group (with Prof. Kyunghyun Cho) and the larger CILVR applied machine learning lab. He completed a PhD at Stanford University in 2016 with advisors Chris Manning and Chris Potts. He received a 2017 Google Faculty Research Award, and led a twenty-researcher team project during the summer of 2018 as part of the JSALT workshop program. Recommender systems play an important role in our online world. They influence the books we read, the movies we watch, and the music we listen to. Due to the ever increasingly connected world of the Internet of Things, and the maturation of AI technologies, their reach is now beginning to extend from the online world into the real-world in which we live. The next generation of recommender systems will look beyond our clicks and purchases to learn about our opinions and habits and serve us in a host of new application areas. In this session, Professor Smyth will look at how novel sources of recommendation knowledge are impacting recommender systems. 1. The use of user-generated reviews in product recommendation. 2. The use of activity data from wearables in exercise recommendation. Prof. Barry Smyth holds the Digital Chair of Computer Science in University College Dublin and is a Director of the Insight Centre for Data Analytics. Professor Smyth's research interests fall within the field of Artificial Intelligence and include case-based reasoning, machine learning, recommender systems, user modeling and personalization. Since 1992 he pas published over 400 peer-reviewed papers which have garnered more than 13,000 citations. Professor Smyth's endeavors extend beyond the laboratory. Over the years he has established a track-record of successfully translating his research into commercial opportunities and received numerous awards for his commercialisation endeavour. As humans and robots increasingly co-exist in home, industrial and healthcare environments, it is crucial that robots and other smart devices incorporate into their decision making efficient learning algorithms for inferring and adapting to the user’s sensorimotor and cognitive profiles. In this talk, I will describe our learning architectures for enabling adaptive human robot interaction in joint tasks, and discuss the related computational problems, including user modelling, attention, perspective taking, prediction of forthcoming states, explanation generation, and personalised shared autonomy. I will give some examples from human robot collaboration experiments in robotic wheelchairs for disabled kids and adults, collaboration in edutainment tasks, activities of daily living (for example assisted dressing tasks), shared control for handheld robots, shared autonomy in driving, among others. Yiannis Demiris is a Professor in Human-Centered Robotics at Imperial College London, where he directs the Personal Robotics Laboratory. 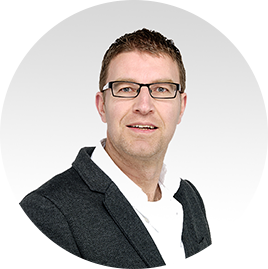 His research interests include machine learning and personalization methodologies for improving human-robot and human-device interaction, with applications to healthcare, assistive technologies and intelligent mobility. By integrating emotional intelligence with the existing artificial intelligence, AI is taking a crucial turn on its journey to becoming a transformational technology. However, even the most sophisticated AI technologies nowadays lack this essential factor and the ability to contextualize information as humans do. This is arguably the most important reason why AI is not able to adapt successfully to individual users. Companies able to effectively incorporate contextual understanding into their technologies will become the front-runners in this race to technological excellence. However, they must also be cautious of the social and personal implications of such a huge transition. This talk will describe ‘What is artificial emotional intelligence?’, how the integration of it with AI can be beneficial, and what the future of artificial emotional intelligence looks like. Maja Pantic is one of the world's leading experts in the research on machine understanding of human behaviour including vision-based detection, tracking, and analysis of human behavioural cues like facial expressions and body gestures, and multimodal analysis of human behaviours like laughter, social signals, and affective states. Prof. Pantic received BCS Roger Needham Award in 2011 and she is an IEEE Fellow and an IAPR Fellow. Machine learning, and in particular deep learning, has received a great deal of attention in recent years as it has been able to solve notoriously difficult problems. Much of deep learning’s recent successes can be attributed to a virtuous cycle of advances in computing hardware, the availability of huge amounts of data, and the explosion of sophisticated models and algorithms. Efficient, on-device acceleration of AI workloads demand synergistic co-design of machine learning algorithms with the specialized hardware they run on. This talk provides an overview of our on-going research activities that take a full-stack approach from the algorithms all the way down to the circuitry in order to propose holistic solutions. Gu-Yeon Wei is Robert and Suzanne Case Professor of Electrical Engineering and Computer Science in the Paulson School of Engineering and Applied Sciences (SEAS) at Harvard University. He received his BS, MS, and PhD degrees in Electrical Engineering from Stanford University. His research interests span multiple layers of a computing system: mixed-signal integrated circuits, computer architecture, and design tools for efficient hardware. His research efforts focus on identifying synergistic opportunities across these layers to develop energy-efficient solutions for a broad range of systems from flapping-wing microrobots to machine learning hardware for IoT devices to large-scale servers.